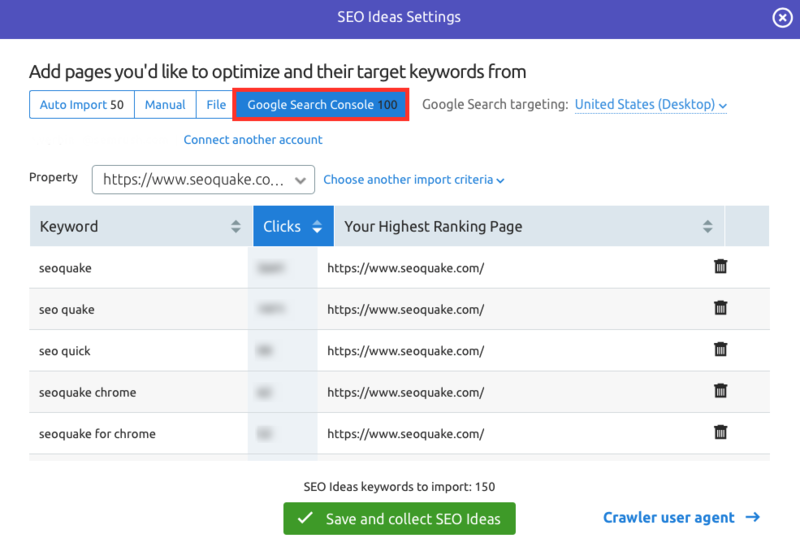 We are happy to announce yet another SEMrush SEO Ideas enhancement — integration with Google Search Console (GSC), a vital tool for site performance monitoring. GSC allows you to see the landing page and keyword pairs with the highest number of clicks, which generate the most traffic to your site. 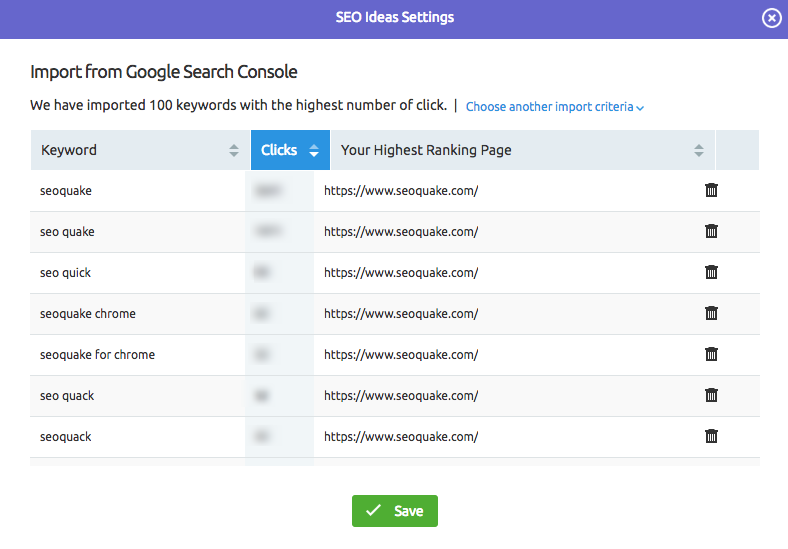 Using GSC integration you can import up to 100 of these pairs to the SEO Ideas tool, and in a matter of minutes it will provide you with ideas on how to improve the pages to earn even more traffic and profits. Moreover, using this feature is a great way to check the health of your best-performing pages and get ideas on how best to maintain them. How can you integrate SEO Ideas with Google Search Console? It’s very simple! If you already have an active project, go to the Optimization Ideas section and click on ‘Import from Google Search Console’ at the top. An alternative way to do it is to connect GSC while creating a new project in the SEO Ideas setup wizard itself, after selecting your target location. Once you perform any of these actions, you will get a list of keywords with the highest number of clicks and their corresponding URLs. After you have integrated your account, you can rely on the SEO Ideas tool, which will inspire you with ideas on how to improve your traffic and Google rankings. So what do you think about this new feature? If you have ideas for any other GSC import criteria, please share them with us at [email protected]. Thank you for making SEMrush better!